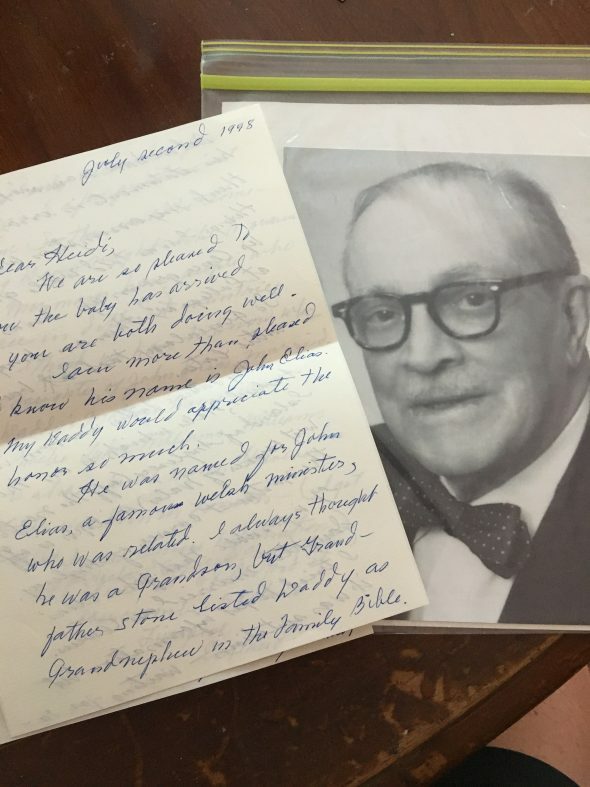 When my youngest was born, we named him after my great-grandfather and my grandmother sent the most beautiful series of letters about him (her “Daddy”) along with some photographs. I kept them all together for a long time, with the intent of putting them in Jack’s baby book. And wouldn’t you know that never happened and I thought they were long gone. Until this week when I uncovered them in a box of the kids’ school pictures! Didn’t my grandmother have the most gorgeous handwriting? I forced myself to take last week “off”… I let myself sleep in a bit, read my book (more on that soon! ), sit by the neighborhood pool a bit, and watch some French Open tennis and college baseball. We hosted a cookout on Friday night and I even indulged in several episodes of “Friends” on Saturday afternoon — why don’t they write shows like that anymore?? The humor is still relevant after all these years! I am still working my part-time side gig and will post about that soon. I’m not sure how long I’ll continue with it once we move, but I’m learning some things, enjoying the people, and the extra cash is nice during this very expensive season. We’re finalizing our next abode soon and I will update you all on that soon, too. In the meantime, I’m also prepping for Legacy’s first Summer Camp next week! It took some doing to get that approved by our landlord church, but I’m looking forward to a fun week with some of our precious students. So that’s a bit of my life these days… it’s been incredibly stressful, but I do see a light at the end of the tunnel. And I look forward to sharing more with you all soon! Have a great week, everyone! Congrats Heidi….so you are moving from one house to another?…We are so behind on getting our house ready to sell….then we have to find a rental until the house is built as I cannot find a house that “fits the bill” …. Good luck on the sales! Glad you found your letters! im sure leaving your house it’s bitter sweet but how exciting to find treasures again, like the letters. I always think about writing love letters to my husband and storing them in a box for my kids long after we are gone. where you moving??? good luck with the summer camp.